That’s how I view it too and it’s one of the reasons why “No Gossip” is one of our core company values. Until three years ago, that wasn’t the case. I’ve always felt I couldn’t do my job effectively unless I was discussing negatives directly with an employee or customer who could do something about it. But as a company, we didn’t explicitly state it in our values and we didn’t require the same attitude from employees. 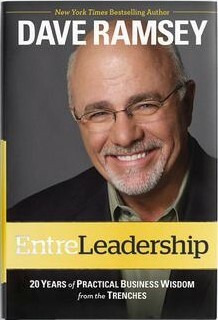 This approach changed after my business partner Andy Caine and I attended Dave Ramsey’s EntreLeadership training. During one session, we heard a “No Gossip” policy emphasized as an essential company standard. The more we thought about the intolerance posited in the EntreLeadership training the more it resonated with Andy and me. We liked their approach so much we essentially copied it. Since then, we’ve been upfront with employees, management and customers alike about our belief that a workplace accepting of toxic conversations is vulnerable to an erosion of trust. And we’ve been vigilant in our reinforcement of this principle. If our performance is measured on our ability to problem-solve, gossip only hinders the effort. It breaks down teams, bends the group toward a negativity bias and allows the focus to shift away from us striving to find good answers instead to finding sympathetic ears to hear our gripes. As a result, we ask ourselves and our employees to recognize their own inclination toward the behavior, call it what it is and correct their mistakes. If you’ve made a mistake, it’s best to own up to it so everyone feels united as a group. If not, we hold strong to our value and will consider termination. It hasn’t always been easy to stick to the principle. Not every employee accepted our strong stance on no gossip and we even had a few leave of their own volition. And that was the best outcome for everyone involved. Since then, we’ve seen the air change in our building and have grown a team that trusts itself (and each other) even more. We see our commitment to “No Gossip” as a business initiative. Here’s how the policy impacts several other company values. As a test engineering solutions provider, it’s impossible to solve tough problems without dealing with each other directly and transparently. How do you expect your organization to handle hard projects if you can’t even engage each other in tough conversations? Gossip allows us to gather unreliable evidence to confirm unchallenged beliefs. Open and honest dialogue, on the other hand, can pick apart a flimsy hypothesis or generate empathy for another person whom you think is at fault. That’s how you solve tough problems. Gossip can fuel negative or false narratives about individuals or projects. Person A says one thing about another’s inadequacies, it gets repeated by Person B and the wrong story is set in motion. We slowly, almost unknowingly, decide as a group not to confront the undesirable behavior directly. When we fail to have direct and clear communication about concerns, we lose both the opportunity to improve, and the clarity of what actually happened and what needs to be corrected. When a breakdown occurs, complaining about others seems like the easy way out. In the long-run, it will slow you down and it will kill a team. Our work revolves around every member of our team working together to ensure a project’s success. If we allow ourselves to create a blame-first culture instead of striving to pull together, the job won’t get done and the customer won’t be served well. Gossip sets the stage for us all to fail. 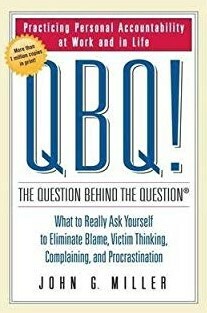 We love John G Miller’s take on eliminating blame and taking accountability in your own work with his approach to questioning what’s actually happening. Why isn’t so-and-so doing his job? Why doesn’t management fix that? Why is the customer so frustrating? What is going on with them? How might understanding that make things easier? If you view yourself as a victim, you are unlikely to be the source of many solutions. Gossip reinforces victim thinking. Our approach to flexibility includes being patient and understanding in our work. Talking behind the backs of our teammates or customers accomplishes the opposite. It’s the wrong mentality for what’s required in this business. Feelings get hurt when gossip thrives. Trust is irreparably damaged. It’s impossible to establish a culture of respectful behavior if every side conversation undermines the group effort and its members. Gossip in the workplace is one of the easiest and most unnecessary ways to increase anxiety and unravel your team. Isn’t work already stressful enough? We expect everyone to show ownership over their work. In this environment, an insistence on placing blame elsewhere won’t cut it. Our policy against office gossip is a strategy for maximizing our individual value. I see gossip as part of a scarcity mindset toward problem solving. Instead of assuming there are aspects of your job that you cannot accomplish or problems you cannot overcome because of the shortcomings of others, instead feel empowered that through positive communication and a bias toward action, you will be able tackle tough obstacles for yourself, for others, and with others. That’s an abundance mindset. We can’t operate effectively with our customers without it. We need everyone on our team pulling together to effectively serve our customers. Allowing gossip is as negative to our business success as lying to a customer, being late with a project, theft, poor communication, wastefulness, or poor quality. You can’t be successful if there’s poison in the air. We just won’t tolerate it in the building.